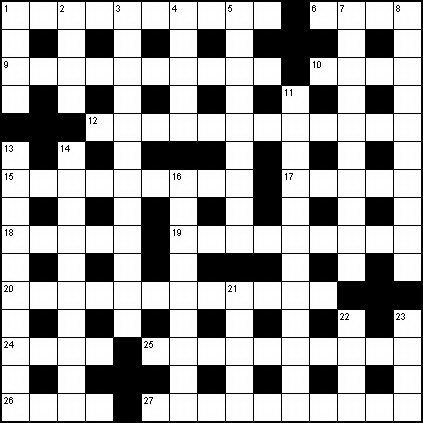 This puzzle is significantly easier than the others I have written for this site, and a good place to start if you are just starting out as a crossword solver. There are explanations for each clue on the solution page. If you are a complete beginner don't worry if you can't complete all the clues unaided � any cryptic puzzle, no matter how "easy", presents a significant challenge to the first-time solver. Good luck!